If you are applying for this course from outside the UK/EU, click apply now. Help give children the best start in life. Qualify for a lifelong career in a fulfilling field. Discover new abilities and capacities you didn't know you had. This course will provide you with skills, knowledge and understanding in a range of subject areas that combine to form childhood studies. You will learn about child development, children's needs, and the the historical, social and cultural issues that impacts their lives. You will also develop your knowledge and understanding of the child as an individual and the position of the child in society. You will have the opportunity to register on a new pathway, Early Childhood Graduate Practitioner Competencies in your first semester. This will allow you to become a practitioner and assures employers that you have completed relevant practice experience. If you choose to take this pathway, you will graduate with the degree title BA (Hons) Childhood Studies with Early Childhood Graduate Practitioner Competencies. Your progress will be assessed with essays, reports, group work, seminar presentations and self-evaluation. Throughout your degree you'll have one-to-one support from academic staff. You will reflect on a range of psychological, sociological, health, historical and philosophical perspectives and consider how these underpin different understandings of children and childhood. Throughout your first year modules, you will demonstrate knowledge and awareness of the skills needed for building relationships with individual children, children in groups, families, colleagues, other professionals and communities. You will critically explore, examine and evaluate the significance of the cultural, historical and contemporary features of various policies, institutions and agencies regarding childhood. You will plan for and implement: play, the curriculum, assessment, evaluation, and improvement of creative learning opportunities, taking into account children's health and emotional wellbeing. You will also reflect upon the ethics of studying children and their families and communities through field work. You will become more independent, resilient, responsible and pragmatic and develop as an autonomous learner. You will apply multiple perspectives to childhood issues, recognising that childhood studies involves a range of research methods, theories, evidence and applications. You will begin to lead, support and work collaboratively with others and demonstrate an understanding of working effectively in teams with parents, carers and other professionals. You will also produce critical arguments for improvements to multi-agency and multi-professional practices for children, families and communities. We’ve got thousands social science books and e-books, with many more titles available through the inter-library loan service. We also subscribe to a comprehensive range of print and electronic journals so you can access the most reliable and up-to-date academic and industry articles. You'll be based at The Reg Vardy Centre, situated on the award-winning St Peter's riverside campus. The location benefits from dedicated library services and has superb transport links with the city centre and City Campus. Our typical offer is 104 UCAS points from a minimum of two A Levels or equivalent (e.g. 1 x AVCE double award). We do not accept General Studies. You must have a Disclosure Barring Service (DBS) check before you can start this course, and you will also need to complete a medical pro forma. This course is subject to approval. The part-time fee is £6,935 per 120 credits if you are from the UK or EU. This part-time course is not available to international students who require a Tier 4 visa to study in the UK. BA (Hons) Childhood Studies leads to a range of careers in children's services. Many of our graduates go on to work in health, social care, education, childcare, charities, and voluntary organisations, while many go on to study postgraduate courses such as PGCE Primary Education, MSc Practice Development and MSc Inequality and Society. Our graduates also qualify as teachers by undertaking the Teach First and School Direct programmes. As an Early Childhood Graduate Practitioner, you will be an advocate for young children’s rights and participation and recognise that young children are active co-constructors of their own learning. By becoming a Practitioner, you will critically apply academic knowledge of pedagogy and research evidence, to the holistic development of infants and young children, in a practice context that is respectful of the child, their family and community. You will need to undertake the competencies modules across all levels which are observed and assessed during placement. This new option will be registered and linked to the Department for Education website and assures employers that graduates on this pathway have completed relevant practice experience. This enables the wider workforce to be clear about individual early career graduates’ expected level of knowledge, skills and actual experiences in practice. 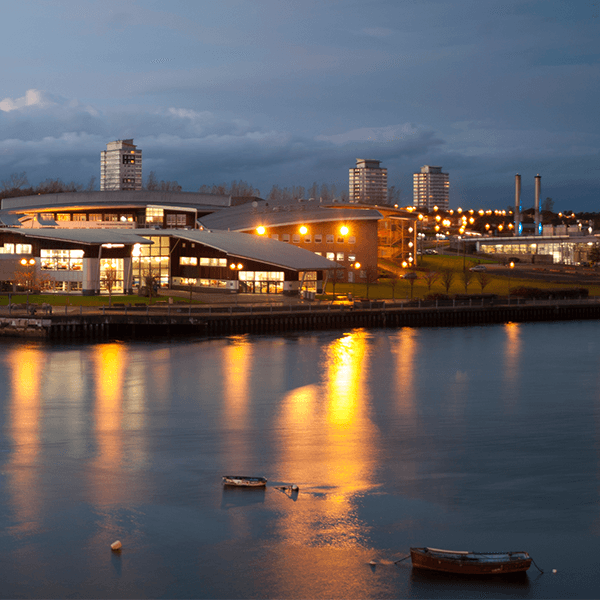 The University of Sunderland’s Centre for Applied Social Studies (CASS) regularly hosts visiting speakers, and it can be an excellent way to learn from the experiences of people who already have a strong track record in social policy. CASS is the centre for applied social science research at the University, and you may find opportunities to collaborate with the academic team – particularly on areas relating to children, young people and families. University of Sunderland is a phenomenal place to become inspired and educated. The University of Sunderland helped me realise my dream. A fantastic university with a wide range of support in place and very nice lecturers. All UK universities and colleges display Key Information Sets (KIS) on their undergraduate courses. The KIS gives you a quick overview of some standard information about a course and has a link to more detailed information on Unistats.